In October 2008, Esquire Bank announced the execution of an agreement with the Consumer Attorneys of California (CAOC) where Esquire Bank is a recommended bank by CAOC and its membership. 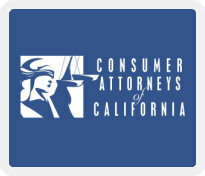 CAOC members enjoy exclusive benefits from this relationship. Members have access to business products and services at pricing exclusive to CAOC members. You will also have access to co-branding marketing opportunities. Members can feel comfortable dealing with a bank that does not support tort reform. Rather, Esquire Bank interests are directly aligned with law professional interests both politically and business-wise.